If you’ve read my blog you know that many Heinkels suffer from carburetor problems. 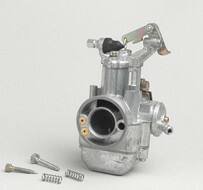 Parts are no longer available for the original Pallas carburetors. The slides wear or they leak gas (and air), resulting in poor idle and a host of other issues. Even if you manage to get another Pallas carb, chances are it will be worn and you will run into the similar problems. I know, I think I have 4 of them! You can purchase a new Bing carburetor from the German Heinkel Club, but these have issues as well. In addition to costing $400, mine ran consistently rich, (averaging only 25 miles per gallon) and I had an annoying flat spot upon acceleration. No amount of adjustment, needle swapping, or jet replacement could improve the performance. In the December 2012, The UK Club Cruiser News magazine club published an excellent article by John Drucker about how to fit a Jetex carb to a Heinkel engine. It included step – by – step instructions and pictures. I bought a Jetex on e-Bay and decided to try. I’ve had it on my car for about a week and am happy to say it is the best carburetor I’ve used to date. My idle is good and the car’s performance has noticeably improved. If you’re a vintage scooterist you may have heard of Jetex- they were fitted to Indian Lambretta scooters and are frequently used on restorations. It is a pattern copy of a Dellorto carburetor. I had some experience with Jetexes as I fitted one onto a Lambretta I had some years ago. The best thing about the Jetex is that they’re cheap! I got a new one on eBay, delivered to my door from India, for $45. The bad news is that it’s not a straightforward installation and will take you quite a few hours (20-25?) to complete the switch. While it’s not easy that does not mean it is impossible; if you’ve done things on your car beyond routine maintenance you should be able to tackle it. Fit a choke cable that can be accessed from inside the car. Issue: The Heinkel intake manifold is about .0015” too small for the Jetex carg. This is the thickness of about 3 aluminum beer can sidewalls. Fix: I found a plastic pipe that fit snugly over the intake manifold, then turned it on my wood lathe at slow speed to fit the inside the carb manifold. Another option (which I realized after) might be to use heat shrink tubing to take up the space. 2. Carburetor air intake to the air cleaner. Issue: The Jetex air intake is much bigger than the Heinkel intake. Fix: Adapt the existing one by cutting out a larger hole and putting in a new mounting neck. Issue: The stock inner cable for a Pallas carburetor is too long. Alternatively you could shorten the cable and solder on a new end. Installed choke looks SO original! Get (or make) a choke cable: Once again the easiest route is to probably buy one from a Lambretta supplier. I suggest Jet200.com in the USA or Cambridge Lambretta Works in the UK. 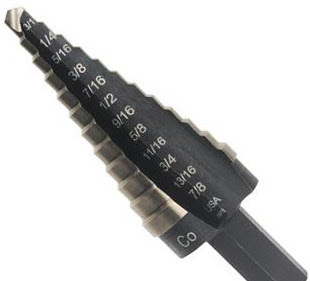 You can also adapt any number of cables available on eBay, just remember the length of the pull, and realize you will probably have to make a hole somewhere in the body for access. I thought about getting a long one and positioning it near the parking brake. You could also put it near the pull lever for the defroster. Drill a hole in the firewall for the choke lever/cable: Use a step drill to make a clean hole. These are cheap and do a very nice job. Here’s a picture of one from Irwin, maker of the original step drill bit. Get an elbow to route the choke cable: There isn’t enough headroom for the cable to pull straight up- you will need to route it through an elbow. Once again the easiest route is to purchase one. I used this one: http://jet200.com/catalog/product_info.php?products_id=1065. Route the cable so it doesn’t melt because it touches the engine: Because of my cable’s length and the hole I drilled in the body, the cable ended up right on the valve cover- couldn’t have been in a worse place for heat and potential melting. I made a stay to pull it off to the side and up off of the engine cooling tins. If I were to do it again I would mount the choke someplace else to avoid that problem. Once you’ve completed all of these steps you need to make sure the cables function and do not melt on the hot engine. I’ve gone about 50 miles on 3 different outings with various traffic conditions. I haven’t checked gas mileage yet but I hope to soon. Would I recommend doing it? If you have idle or bogging issues, or need a carburetor, I would definitely recommend it.